Moldova’s outlawing of Russian news and political broadcasts has been touted as taking a stand against “Russian propaganda” — but many feel it is little more than political point scoring by the ruling Democratic Party (PDM) looking to boost its pro-Western credentials. It’s not only Moldova’s sizable Russian-speaking minority that has been angered by the ban, criticisms also hail from pro-Western quarters. 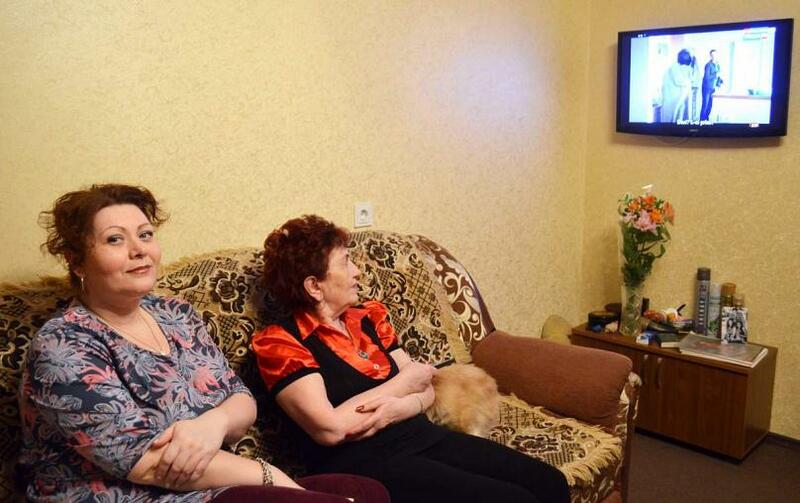 Elena Chiriac, 45, lives in Chisinau and says she is used to watching news from Russia. "One should be given the right to watch the programmes one wants. After all, we are a democratic country, we are getting closer to European Union and we need to have access to the world’s news,” says Chiriac. “We need to listen to both sides, listen to the news from Europe as well as from Russia and make our own decision as to what is propaganda and what is not." The ban came into force on 12 February, when rebroadcasting of so-called "media propaganda" from Russia — mainly news, political talk shows, and analytical programmes — was banned across Moldova. Officially, the ban has been justified by Russia’s non-ratification of the European Convention on Transfrontier Television. Chiriac and others have slammed the ban as nonsensical and plans to take her news consumption online, where she can still access Russian news websites. "I find this ban to be ineffective because nowadays you can find any information online. I'll keep following the Russian news because our countries are very much connected after all," she says. 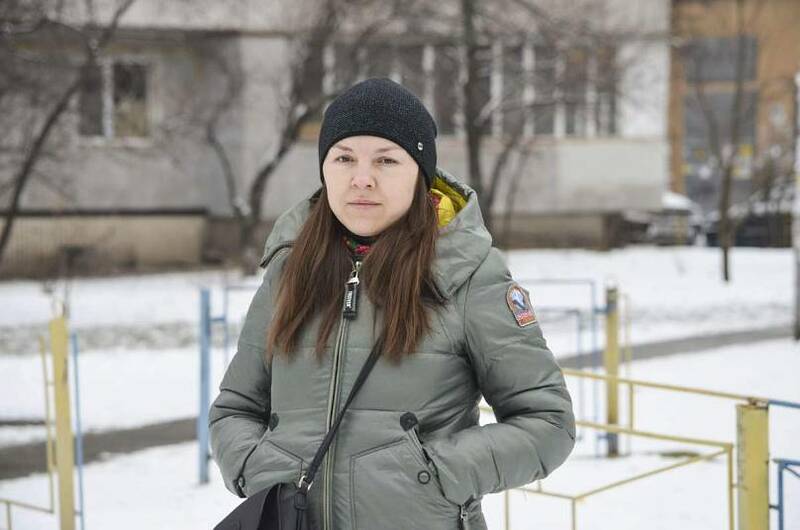 Olga Mishina, 30, has family ties in Russia and for her the ban is personal. "My cousin lives in Russia and we are very close. I don't understand how it’s possible to ban the news from the country, where up to 700,000 of our citizens work," she says. She also plans to continue following Russian news online and says she can rely on her cousins and friends living there to relay the news to her. While Mishina can find ways to circumvent the ban, she is concerned about the impact it could have on the older population. “They do not have access to the internet and they don't have satellite TV, so they will be left without news about the lives of their relatives,” she says. As far as Moldova is concerned, Mishina does not believe the ban helps to fight misinformation. "Moldova is rarely discussed on Russian TV channels, that is why I don't understand how the Russian news could be called propaganda here." Moldovan TV channel "NTV Moldova" was among the first ones to say that they would enforce the new ban and stop rebroadcasting Russian programmes. However, the channel’s TV anchor Natalya Kosyh was at pains to point out, "NTV Moldova will not ignore the events and news from the country in which more than half a million of Moldovan citizens live and work." At the same time, the channel’s parent company "Exclusive Media" announced it will appeal to the European Court of Human Rights to defend the right of Moldovan citizens to free access to information. 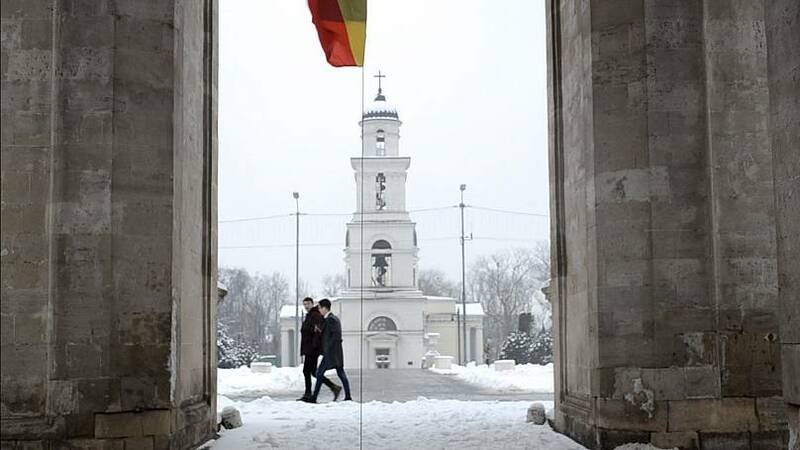 The ban was tabled by the PDM MP Sergey Sirbu, who argued the fight against "propaganda" was needed to minimise the security risks faced by Moldova. Politically, however, the law is also fraught. 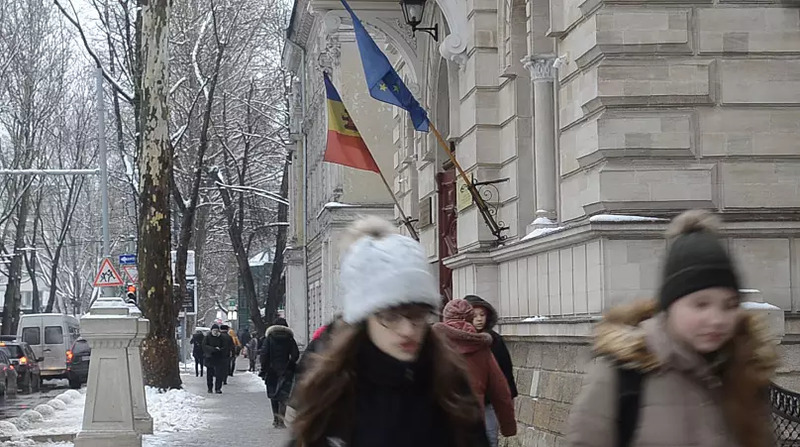 After parliament adopted the legislation, Moldovan President Igor Dodon refused to sign it into law, kick starting a legal battle. On Facebook, Dodon, who is pro-Russian, called the ban a violation of the freedoms of the Moldovan citizens. "Speaking about the law on fighting propaganda, it is an outright violation of the freedom of Moldovan citizens to obtain information. […] I will not sign the law that contradicts the interests of citizens," he wrote. Eventually the constitutional court ruled the president’s signature was not needed to enact the law, and at the start of the year, Parliament Speaker Andrian Candu signed the bill. Moscow also condemned the ban, saying it would take the matter to the Council of Europe. The chief of the Russian Public Chamber Commission on the development of public diplomacy, Elena Sutormina, said, "Regarding the situation with the restriction of the broadcasting of Russian TV channels in Moldova, our commission will appeal to the Council of Europe, in particular, to the CE Standing Committee on Cross-Border Broadcasting. And also we will definitely address the parliaments of European states so that they give a public assessment of this fact." A game of political point scoring? Representatives of the PDM have long accused Russia of spreading propaganda, trying to banish Russian broadcasters from Moldovan territory. At the beginning of 2017, parliament began discussing the draft law and met opposition from the Organization for Security and Co-operation in Europe, the US NGO Freedom House and Moldovan civil society groups, calling it "undemocratic". Parliament speaker Candu justified the move during in a TV talk show early last month. "We organised an international conference in Chisinau last year, and we gathered the best experts on all the issues related to television and propaganda," he said. "All the experts told us that in Moldova there are manipulations, propaganda, and misinformation in media, particularly in TV programmes, produced by the Russian Federation." At the end of last year, leader of the PDM and media magnate Vladimir Plahotniuc wrote a column for the Wall Street Journal, accusing Russia of interfering on Moldovan affairs. "Russian political meddling may be new to Americans, but in Eastern Europe such interference has long been common. […] As the leader of Moldova’s main governing party, I understand all too well the weight of unwanted Russian influence," he said. Plahotniuc is the majority shareholder of Moldovan TV channel called Prime, which holds the right to rebroadcast Russia’s state-owned Channel One. This has led many to argue that Plahotniuc's motives are not to combat propaganda but to exploit growing anti-Russian sentiment in Europe for political gain. Political analyst and vice president of Moldova’s Party of Action and Solidarity (PAS) Mihai Popsoi thinks Plahotniuc is trying to shore up votes in next year’s parliamentary elections by taking a strong pro-EU stance. "There's a lot of criticism from the journalistic community here in Moldova and also from the diplomatic community that this ban is not effective because you can still circumvent it and watch the so-called propaganda. Some news is propaganda but some news is just regular news, and some talk shows are very much full of propaganda but some are just discussing nonpolitical issues. And when you are banning them altogether it might not be the best approach from the democratic perspective," said Popsoi. In the past there was an attempt to ban a local TV channel rebroadcasting Russian programmes. But, Popsoi said, “The problem is that Vladimir Plahotniuc doesn't want to ban TV channels because if he were to ban Prime, the TV channel that rebroadcasts Russian “Channel One” and which he owns, he would be shooting himself in the foot. “So, he's just using the half measure that is rather ineffective and largely undemocratic, and he's gaining political points on this anti-Russia hysteria."